 Strains containing Limonene include: ACDC, Banana Kush, Durban Poison, and OG Kush. 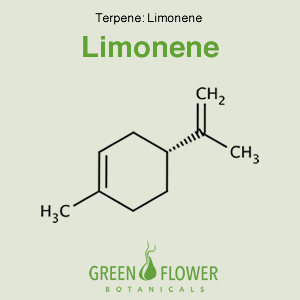 Limonene is a clear, colorless liquid hydrocarbon classified as a cyclic monoterpene. Limonene has been shown to be a potent antidepressant and anti-anxiety treatment comparable to some traditional medicines. Limonene has also been inferred to be an anti-inflammatory, lowering or preventing key stages in the reaction. Limonene was elucidated in being a potential treatment for breast, prostate and pancreatic cancer. Limonene demonstrated increased social interaction time and decreased immobility time, in the forced swim test using mice, indicating anxiolytic and antidepressant effects. The effects were comparable with the traditional anxiolytic diazepam and the antidepressant fluoxetine. Limonene was evaluated against human eosinophilic leukemia cells, specifically looking at reactive oxygen species (ROS), monocyte chemoattractant protein-1 (MCP-1), nuclear factor (NF) kappa B, and p38 mitogen-activated protein kinase. Limonene was found to inhibit cytokine and ROS production, while inactivating eosinophil migration. Limonene has been attributed to induction of phase I and phase II enzymes that result in carcinogen detoxification. In two prostate cancer cell lines, limonene administration resulted in higher ROS generation, depletion of GSH, accompanied by increased caspase. In addition limonene results in differentiation of cancer cells as well. Breast and pancreatic cancer cell lines were also negatively affected. Antitumorigenic effects of limonene and perillyl alcohol against pancreatic and breast cancer. Chemoprevention and therapy of cancer by d-limonene.